Like many of the teens who come through The Fold's program, pain from Chris' childhood drove him toward many destructive behaviors. Being put up for adoption and living believing that no one wanted him made it difficult for Chris to find his identity. "I was adopted when I was 16 months old. My mom and dad are Christians so I learned about God, but didn't choose to be a Christian myself. "When I was a young teen I got involved in a lot of hurtful (sinful) behaviors. I knew what I was doing to other people was wrong and I hated myself for it." Despite what his parents had taught him, Chris didn't buy into the whole "Christian thing." Moreover, he developed a hatred for all things concerning God. "I love reading the Bible and hearing God say, 'This is who you are! You are a new creation! You are precious to me!'" "Because of my guilt, I hated when people brought up the subject of God. I couldn't understand grace, freedom or forgiveness and thought God could never accept me." It was through the loving guidance of a mentor that Chris discovered The Fold, what he considered to be his only hope. "My pastor knew about the struggles I was having and told me about The Fold. He said that it was an awesome program and a place where I could change." Chris didn't just find change. He found what he called, "a miracle." "Living in the Boys' Home has been a miracle. I would never have been able to get this kind of treatment, kindness and love on my own. It was a safe place and I shared my whole life with the staff during my first week there. I wasn't scared or nervous; I knew I could trust him and just felt this amazing peace." Chris had to walk through the hurts of his past. The difficult journey brought him to a place where he couldn't deny that nothing apart from Christ would satisfy. "One of the biggest challenges for me is where I get my identity. In the past, I hurt people and broke things a lot, including relationships. I used to think I was a 'destroyer.' One event that really impacted me was when someone prayed over me saying that I was a 'repairer of the breach.' During that prayer, I broke down in tears. I am not a destroyer anymore: I am a repairer in Christ! Knowing this, I have a lot more joy, and I'm not tense or angry as much. I still make mistakes, but I have learned that I can give them to God and let Him deal with them." Chris has experienced at The Fold what many teens experience: the life changing influence of God. The Lord plucked him off the path of destruction and set him on a path of restoration. "Before I came to The Fold I was headed straight for disaster, but this is the place where I began my 180 degree turn and ran to Jesus for a new beginning." 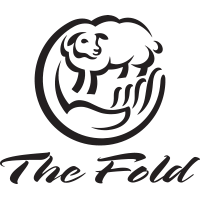 To those considering The Fold Chris says, "The Fold will bring you through the toughest, hardest challenges you'll probably ever face, but in the gentlest way." One verse that has helped him a lot is 1 John 3:18. "It says that we should love in 'deed and truth.' This means that people need to see God's love in action before they will turn to Him." When asked about the future, Chris shares that he would like to go into full-time ministry, working with people who are broken and hopeless. He says, "I want people to know it's never too late to run to the foot of the cross." Dr. Fred Tomaselli, Chris' counselor, shares, "'Courageous and honest' best describes this young man. As his counselor, I have yet to bring up topics that he is unwilling to face head on. His relentless pursuit of a godly identity and direction for his life through a relationship with Jesus Christ is impressive. Truly, Chris is a 'world changer' in the making, and as he says in his testimony, a 'repairer of the breach!'" For more amazing stories of God's life-changing power, CLICK HERE!